Newcomer Family Obituaries - Thomas E. Sleeper 1964 - 2019 - Newcomer Cremations, Funerals & Receptions. 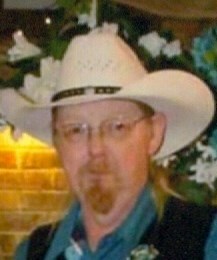 Thomas E. Sleeper, age 55 of Columbus, Ohio passed away Monday April 8th, 2019 Surrounded by Family. Left to carry on his memory is his loving wife of 20 years, Robin G. Sleeper, His devoted parents Robert and Melba Myers. Children Christina Kitchen, Randall Kinzel II (Valerie), Geffrey Kinzel (Celia), Joshua Kinzel (Ehryn) and Samantha Kinzel. The biggest joy in is life was his 9 Grandchildren Emilee, Randall, Kenny, Nicholas, Rowan, Logan, Claire, Levi and Evelyn. His Brother Carl Myers and many Nieces, great nephews and other extended family members and friends. In this difficult time may we try to not remember him as he was thru sickness, may we remember him for who he was while he was really living. The Father, The Son, The Husband we all knew and loved. Let those memories carry us on. Friends and family may visit Monday April 15, 2019 from 11 am -1 pm with a funeral service to directly follow at 1 pm at Lighthouse Ministries, 2295 South High St. Columbus, Ohio. Burial to follow at Sunset Cemetery, Galloway Ohio. Please click on our "share memories " tab. Add your memories to the guest book of Thomas Sleeper. Although it's a rough time I will hold our great goofy memories I have shared with you for the rest of my days. Gone but never forgotten and loved beyond. Love you Uncle Awesome.